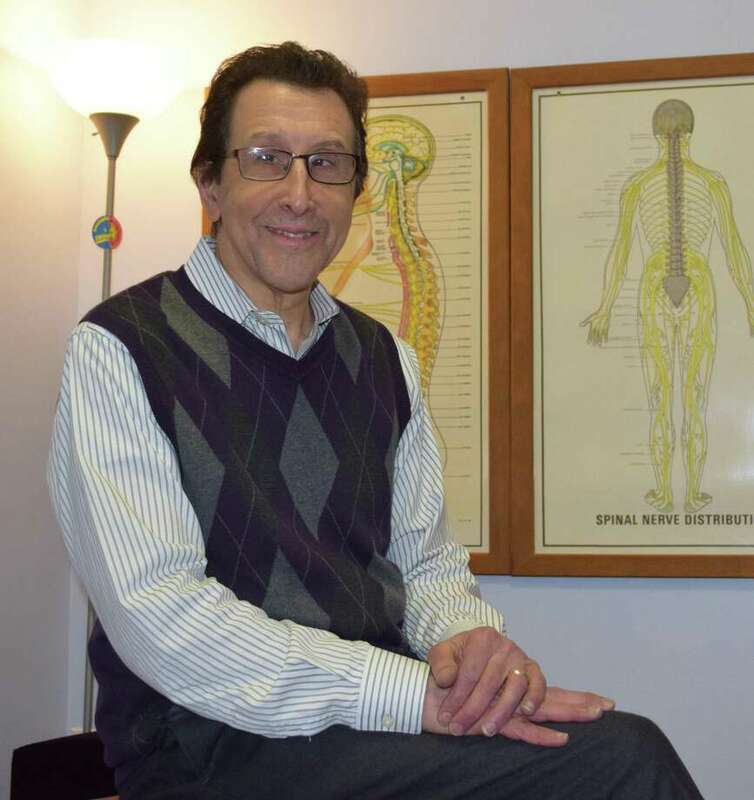 Dr. Arthur Klein operates Family First Chiropractic and Wellness Center in New Milford. The practice is celebrating its 25th anniversary this year. Health and wellness is the mission of Dr. Arthur Klein’s chiropractic practice in New Milford, which marks its 25th anniversary this year. Klein opened his practice, Family First Chiropractic & Wellness Center, after moving to town from New York, where he had been part of a chiropractic practice. Patients who suffer from chronic, upper and lower spinal issues, pain symptoms, migraines, work and sports injuries, injuries sustained in motor vehicle accidents and more seek Klein’s expertise. “People are sicker now than ever before,” Klein said. “Our bodies and brains are bombarded by constant, chronic, low levels of stress coming at us 24 hours per day. It’s an epidemic on a level never before seen. “Chiropractic health care takes stress off your spine, brain and nerve system,” he explained, describing chiropractic care as a part of health education. Following a consultation and thorough examination to check nerve function, muscles, joints, posture, mobility, flexibility and more, Klein will present to the patient several options to move forward. “They’re incredibly kind and compassionate people who care about their patients and believe in what they’re doing,” said resident and patient Chris Fisher. For many patients, that may include alignments. “Almost everyone benefits from chiropractic adjustments,” Klein said. “They changed my life,” Fisher said of the positive results he has had from regular chiropractic care. “He gave me my life back,” said patient Linda Fecko, who suffered from neck and shoulder pain until she sought Klein’s help. Fecko said the initial treatments and monthly visits have enabled her to stand longer and even get back on the treadmill. Klein said some patients, once they feel better physically, opt to pursue other ways to improve their health. That’s something for which Klein can provide help, insight and solutions. Klein said the body is “designed to heal itself,” so “if something interferes with the process, we need to find out why” by identifying the underlying cause of the problem, not just treating the symptoms. For patients who want to dig deeper into their health, Klein can conduct a brain health assessment and offer recommendations on how to make improvements based on the score, and make referrals to other physicians and health providers when necessary. Klein’s wife, Hillary, who is office manager at the practice and trained at the Natural Gourmet Institute for Health & Culinary Arts, helps patients improve their health using food for healing. Michael Gold, president and owner of Geron Nursing in New Milford, sought Klein’s expertise for “excruciating pain” from a bulging disc problem. As a longtime member of the community — where he and his wife raised their daughter, Carly — Klein is involved with numerous organizations, including the Rotary Club of New Milford, the Greater New Milford Chamber of Commerce and newmilfordbusiness.com. He has presented numerous health talks in the community, including for Geron Nursing, at skilled nursing and rehabilitation centers and at Kimberly-Clark. Continuing education courses in pediatrics, nutrition, radiology/imaging, natural sports performance optimization and other topics round out his education. He holds a chiropractic degree from New York Chiropractic College. Klein shares his expertise with new patients and their friends and family every Tuesday at 6 p.m. at his practice, where he offers a program about how to shift the focus from sick care to health care. “Preventative health care is the way to go,” he said. Family First Chiropractic & Wellness Center is at 145 Danbury Road, in Lore’s Plaza. For information, call the practice at 350-2225 or visit familyfirst chiropractic.com.